League of Legends and Apex Legends loot also available. Twitch Prime members can now claim the latest loot for Startcraft II. Dubbed as "Swann: Machined Bundle," the loot is available from April 11 to May 22. 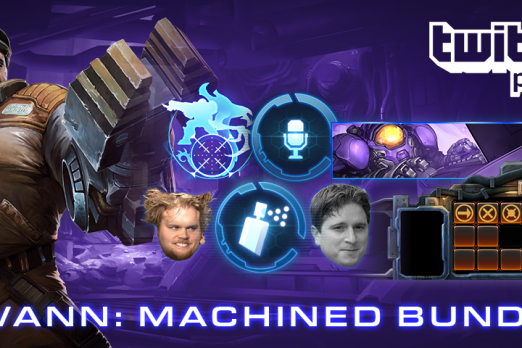 This loot is a result of a partnership between Starcraft II and Twitch Prime in order to give members of the latter an enhanced experience in playing the game. Twitch Prime is a service offered by Twitch which comes with premium features. This service is exclusive to users that have an active Amazon Prime subscription. Among its many features include advertising-free streaming, game discounts, and like the Starcraft II loot, monthly offers of free add-on content. Aside from the Starcraft II bundle, Twitch Prime users can also get the Apex Legends: Omega Point Pathfinder which is available until April 18. Included in this offer is one Legendary Omega Point Pathfinder skin and five Apex Packs. Available as well is the League of Legends: Summoner’s Crown Capsule. The offer is valid beginning April 3 and ends May 14. During this period, Twitch Prime users can get the special Summoner's Crown Pack, which contains a random Permanent Skin, Ward Skin, and Summoner Icon.